by kathyregini | Comments Off on Never Underestimate Curb Appeal! I see lots of remodeling…on the inside of a house. Many times people re do kitchens and baths, maybe rip out the wall to wall carpet and install wood floors. And all that stuff can make a house look amazing. But many times, people don’t do anything to the outside, and that’s a big mistake. Look at this before & after. They changed the roof, added three dormers, painted the brick, new windows and a new front door. Not cheap. 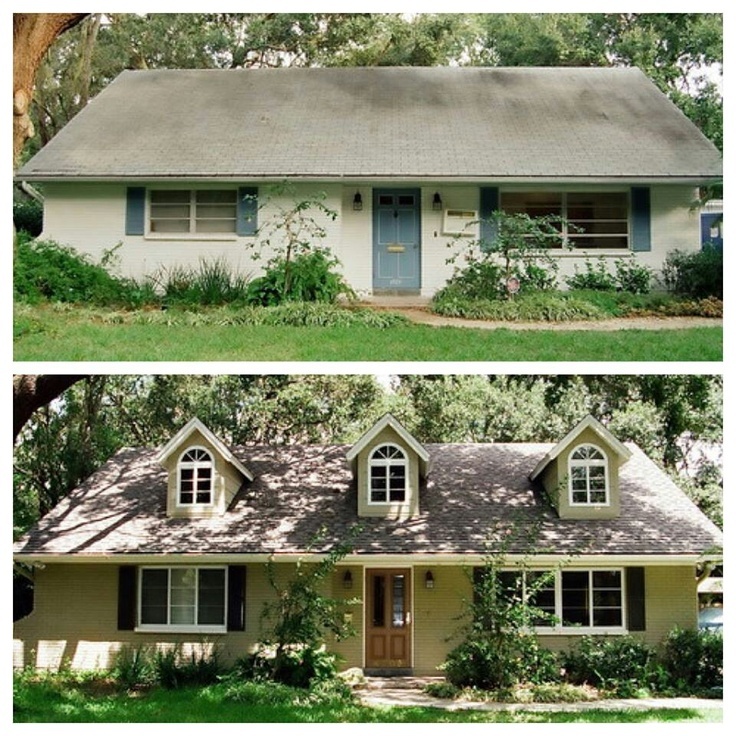 But let’s face it…that roof made the house look hideous! Now it’s super charming and updated.